Hiking boots may seem a bit nontraditional as a college graduation present, but Elizabeth Perry can’t imagine anything she’d appreciate more. The Lawrence University senior voice performance major from Portage, Mich., will spend the coming year in the midst of the hike-friendly Austrian Alps as the recipient of a United States Teaching Assistantship through the Fulbright Commission in Austria. Beginning in October, Perry will begin an eight-month appointment as an English teaching assistant at two secondary schools in Reutte, a small town in the Tirol region of western Austria. Perry’s teaching appointment will send her back to Austria. She spent the fall term of 2012 in Vienna on an off-campus study program there. Although a bit late in her college career, Perry decided to add a minor in German, the official language of Austria, in her fourth year at Lawrence. “It was the last addition to my degree and the first of it that I completed,” she says proudly. Perry is no stranger to traveling abroad. She went to Italy for a summer voice program, participated in the Edinburgh Fringe Festival in Scotland and spent time before her off-campus study program in Vienna began as an au pair in Switzerland. With no prior formal teaching experience, she sees her appointment as an ideal launching pad to what she hopes will be a career in music education. “I’ve done a lot of one-on-one teaching and am currently working with three Lawrence students. They don’t study voice, they are just interested in singing. But this will actually be my first official classroom teaching experience,” said Perry, who has sung with one of Lawrence’s three different choirs — concert choir, Cantala women’s choir and Viking Chorale — each of the past five years. 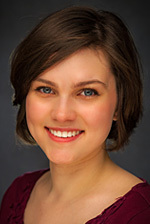 “She is truly immersed in the liberal arts with two minors (German and English) in addition to her voice performance degree and interest in singing pedagogy,” said Bozeman. The news of her acceptance in the program did put on Perry’s original post-graduation plans on hold. She had been admitted to the vocal pedagogy program at Ohio State University. “I’ve worked it out and have deferred my admission so that when I return to the United States I’ll study at OSU in the fall of 2015,” said Perry, who will receive her bachelor of music degree Sunday, June 15 at Lawrence’s 165th commencement. Perry is one of approximately 140 college graduates from the United States selected to teach in Austria under the auspices of the Austrian Federal Ministry of Education and Women’s Affairs Foreign Language Teaching Assistantship Program, which brings talented young people from abroad into the classrooms of secondary schools in communities large and small throughout Austria. Lawrence University cultural anthropologist Carla N. Daughtry has been named a recipient of a 2010 Fulbright Senior Scholar Award. Daughtry will spend the 2010-11 academic year at the Prince Alwaleed Bin Talal Alsaud Center for American Studies and Research (CASAR) at American University in Cairo, Egypt. During her nine-month fellowship appointment, which begins in mid-August, Daughtry will teach courses on American perspectives on race, ethnicity, diaspora and globalization. She also will support student and faculty research activities through CASAR. This is the second time Daughtry has been recognized by the Fulbright Scholars Program. While in graduate school at the University of Michigan, she was awarded a Fulbright Fellowship in 1992 that also took her to Egypt, where she studied Arabic at Cairo’s Center for Arabic Studies Abroad. She also spent two years (1998-2000) in Cairo as a research fellow at American University working with displaced Sudanese refugees who fled Sudan’s civil war as part of her doctoral dissertation field work. Daughtry , who joined the Lawrence faculty in 2000, focuses her scholarship on Middle East and North Africa cultures, transnational and urban refugee communities and ethnic and gender issues. After earning a bachelor’s degree in international relations at Mount Holyoke College, Daughtry earned two master’s degrees — one in Middle East and North African Studies and one in cultural anthropology — and her doctorate in cultural anthropology at the University of Michigan. 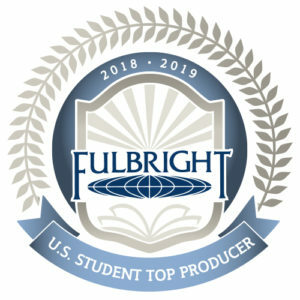 Established in 1946 and sponsored by the U.S. Department of State, Bureau of Educational and Cultural Affairs, the Fulbright Scholar Program is the federal government’s flagship program in international educational exchange. It provides grants in a variety of disciplines for teaching and research positions in more than 120 countries.